Yes, I am stealing another prompt, but in my defense, I steal from great writers. Totally justifies the theft, right? 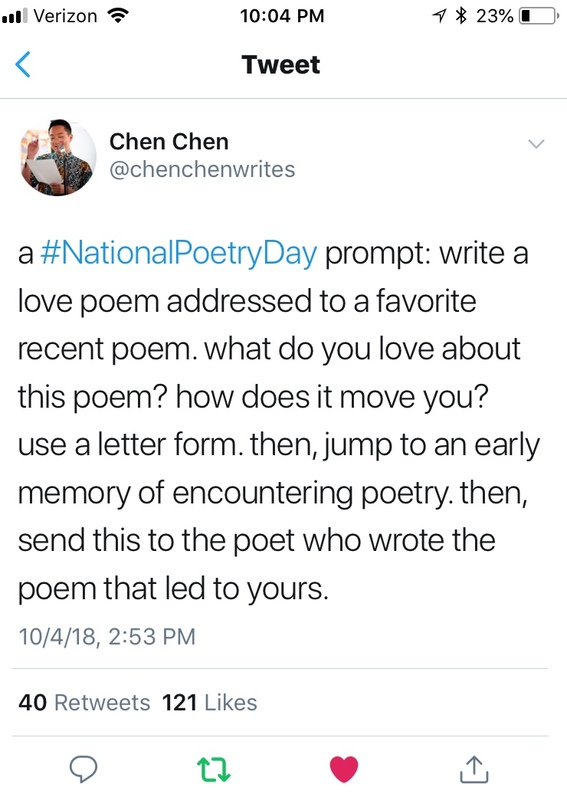 I mean why would they write such great prompts (or poems or stories or tweets) if they didn’t want the adoration of millions and didn’t expect lazy people (like myself) to help themselves to that brilliance? Good luck writing! As an added bonus, you get an honest love poem and make someone else happy.